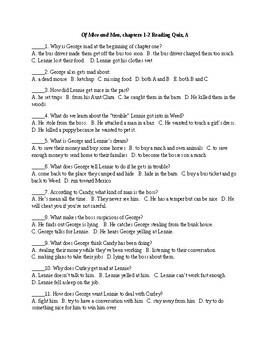 Reading quiz, chapters 1-2, "Of Mice and Men"
This quiz has two versions; the same questions are on each version, but the answer choices are scrambled. The quiz has fourteen multiple-choice questions and six quote identification questions. It is editable and comes with an answer key.